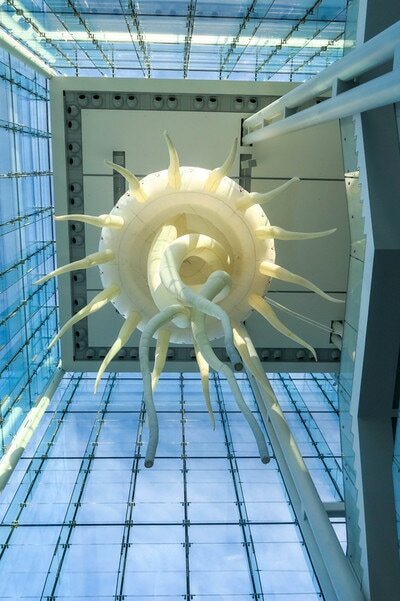 ​The Canadian Museum of Nature has always been one of my favorite museums, and buildings, in Ottawa. Located downtown, it’s a stunning building that looks like a castle and has been recently renovated making it bright and inviting. We visited in December with my parents and our then 10 month old. 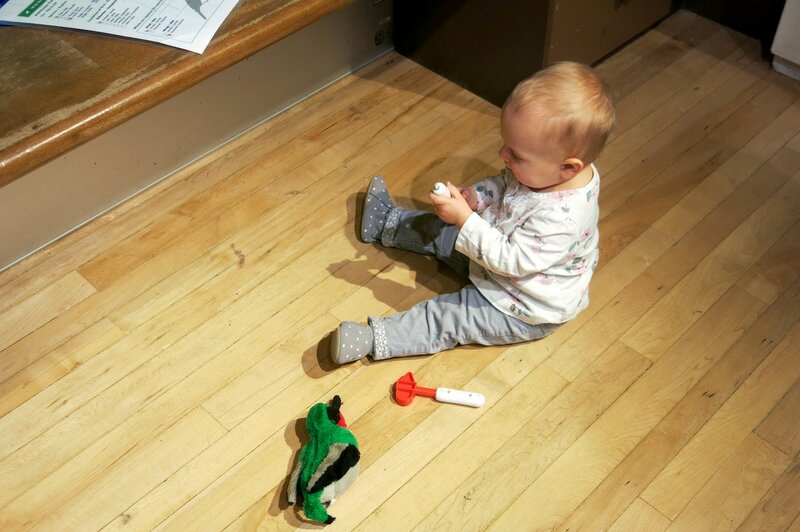 We all enjoyed looking at the dinosaur fossils in the Fossil Gallery and tracing the evolution of our species. 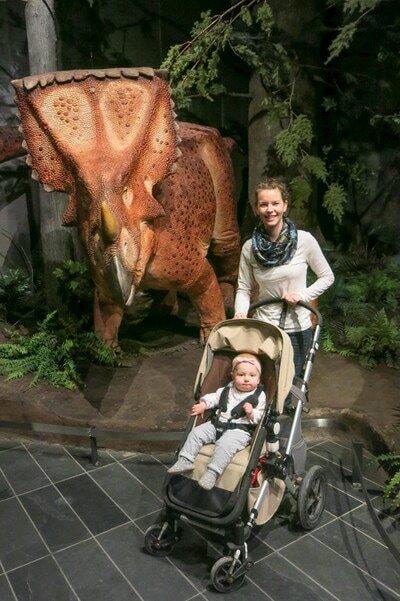 We are positive that any kid would love the 7 life sized dinosaurs in the “swamp forest”. 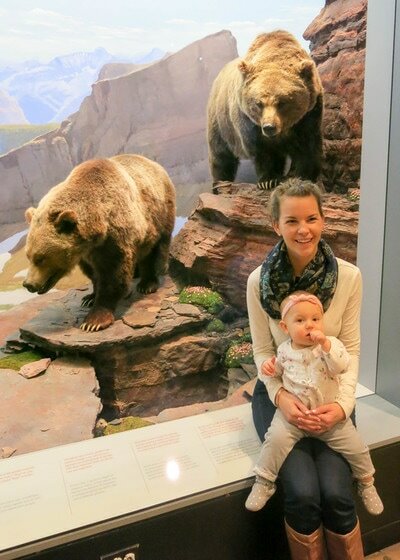 Our daughter is obsessed with animals and so the Mammal Gallery was a favorite area for her. The mammals are all from North America meaning they will be familiar to your little ones and each one is set in beautiful scenes. There are loads interactive exhibits that we all enjoyed – from deciding which mammals milk has the highest fat concentration to scanning food to figure out how much a grizzly bear has to eat every day! The Bird Gallery was another favorite. We loved looking for birds that we see in my parents’ backyard and determining which hawk was the one we saw on the drive home. Our daughter loved that there was an animal hospital complete stuffed birds, all the xrays, vaccinations and medications they might need and an ambulance she could sit in and pretend to drive. Special exhibition: My dad and I love photography and we were excited to see the Canadian Wildlife Photography of the Year exhibition. The price. At $13.50 for adults, $9.50 for children and free for “tiny tots” under 2, it is less expensive than other museums that we are used to. 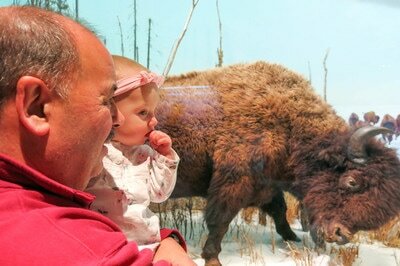 We were able to go for free with our membership to the ROM. The museum has lots to see so plan on spending a couple of hours there. While our daughter had a great time, the museum is perfect for kids over the age of 2 or ideally even a bit older who can take advantage of the interactive exhibits and name all the exciting things they are seeing. 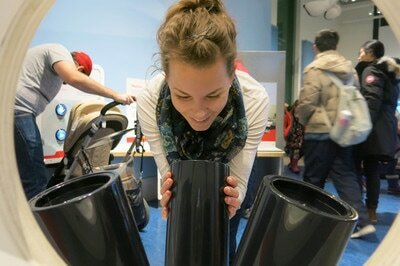 Have you been to the Museum of Nature? What did you kids love most about it? Leave us a comment below.